The first of two butterscotch cookie recipes. The other recipe includes vanilla, omits nuts, and uses shortening instead of butter. Cream butter — add sugar — then eggs. Add flour and baking powder sifted together. Mix and shape into a long roll and chill in ice box (overnight). Slice 1/4″ thick and bake in an ungreased tin in hot oven. 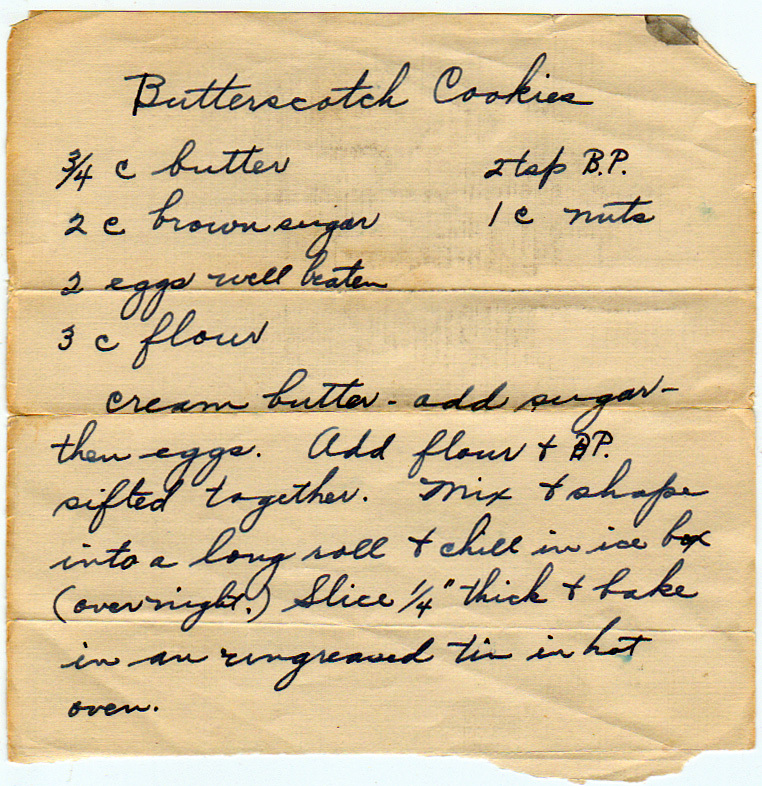 The second of two butterscotch cookie recipes in this box. The first uses butter, includes nuts, and omits vanilla.